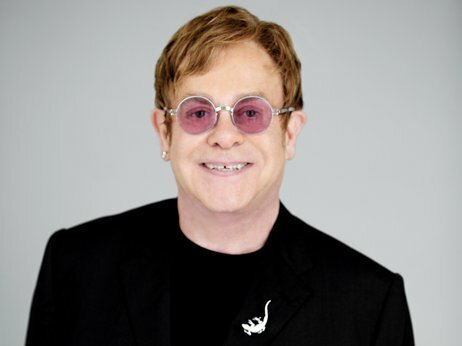 I listened with awe and admiration to pop legend Elton John, as he revealed so much about his incredible life in an interview with Terry Gross of NPR's Fresh Air. He touched on the fact that he can't write lyrics, suffered from addiction, became isolated because of the fame and how he has come to enjoy family life with his partner. 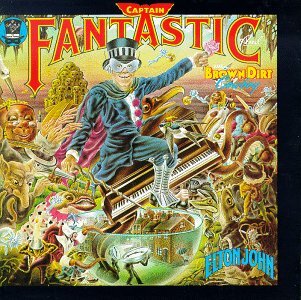 As a 15-year-old, the first album I ever bought was Captain Fantastic and the Brown Dirt Cowboy. In fact, I still listen to it occasionally and still love it. At age 66, John is still making music, his latest, the Diving Board. Gross played multiple tracks and John's voice sounds as vibrant as ever, especially since this is a quieter, reflective John. When I saw Elton John at the Dane County Coliseum in 1980 during my first month of college at UW Madison, I was just struck at how many adoring fans this guy had. He was in the center of the darkened venue seated at his piano, illuminated by spotlights. I just tried to imagine what it was like to be the center of such adoration. In the interview, John describes how fame affected him, made him "self-absorbed." "And I had no balance in my life, Terry. I was, you know, this one person onstage and this person offstage, who really didn't know much about living. I had progressed on stage as a performer, but I hadn't progressed as a human being." He says after he got sober in 1990, he was able to get back on track, develop a healthy relationship and eventually moderate his performance schedule. Before that, he describes superficial relationships that didn't work out. "And, you know, you take them around the world, you buy them a Versace shirt and a Cartier watch and then within six months they hate your guts because they have no life. And I did that repeatedly, time and time again. I had to learn how to share, how to take part in a proper relationship. And since that, I've been 23 years now clean and sober, and the most amazing things have happened to me. So it was just, it was a - the '90s were a great time, it was like I became alive again, I functioned and it was terrific." But John says he needed to go through all of that to find the content place he occupies today. He loves being home so much that he will fly back to be with his kids and partner even if he is playing consecutive concerts in the same city. The other relationship he discussed was that with Bernie Taupin, his longtime lyricist. As a non-musician, it was fascinating to hear how these two develop songs together. "I realized at an early age - or when I tried to write songs, that I wasn't very good at it. And, you know, I enjoy the process of writing to his lyrics, and the weird process of him giving me a lyric, me going into a studio, and never writing with him in the same room. It's a magical event." It sounds as though everything starts with Bernie, and John is fine with that. "He's a very - always been a very cinematic storyteller in his lyrics. There's a visual side. As soon as I look at the lyrics, visually, I can see what's going on. And I don't know how it works, Terry. It's kind of a bit "Twilight Zone"-ish, to say the least. But it has worked, and it's as interesting now and as fun now as it was when I first wrote the first song to his lyric, because that excitement of writing something, say, off "The Diving Board" like "The Diving Board" or "My Quicksand," or whatever, and then seeing his reaction has never, ever dimmed. It's always been as exciting as it was in the first - when I wrote the very first song. So it's an odd - it's a really odd relationship." I've downloaded select songs from the net over the years but am yet to really embrace the transformation to mp3 music. I still listen to CDs. 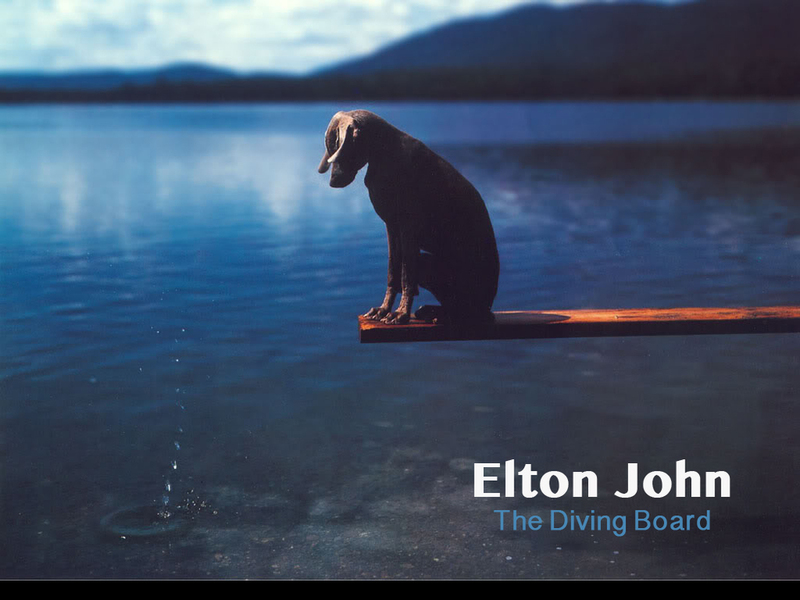 But appropriately, The Diving Board will be my first downloaded album.